I recently met interior designer John Kidd (out of Houston) at one of our events. He does bee keeping in his spare time! I love bees and everything that they do. - Approximately one third of all the food Americans eat is directly or indirectly derived from honey bee pollination. Some crops pollinated are cucumbers, almonds, carrot seed, melons, apricots, cherries, pears, apples, prunes, plums, cantaloupe, onion seed, avocados, kiwi, blueberries, cranberries, etc. -A honeybee has to travel over 55,000 miles and visit approx. 2 million flowers to make 1 pound of honey. 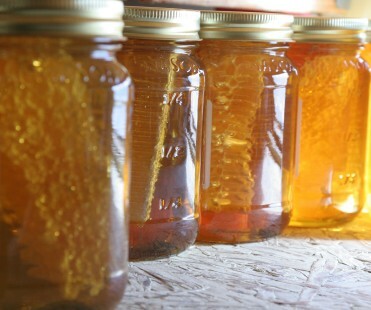 -A typical beehive makes more than 400 pounds of honey per year. 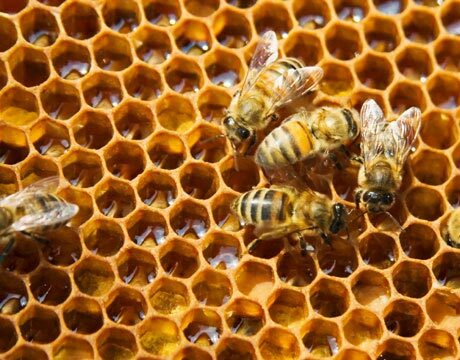 Approximately 7-8 pounds of honey are consumed by bees to produce 1 pound of beeswax. And my other daughter "Sophie the sculptor"!